If you want the very best PS4 deals then you've come to the right place my friend. Each month we scour retailers worldwide to find the best prices on PlayStation 4 and PS4 Pro and, as usual, they haven't disappointed. With some of the best console exclusives to its name, and support for the biggest multiplatform hits, whichever version of PS4 you settle on, you know you're getting a powerful machine packed to the rafters with incredible games. Also, thanks to the affordable PlayStation VR, we are seeing more bundle deals and VR experiences being released than ever, making 2019 a great time to get stuck into gaming on Sony's PlayStation platform. 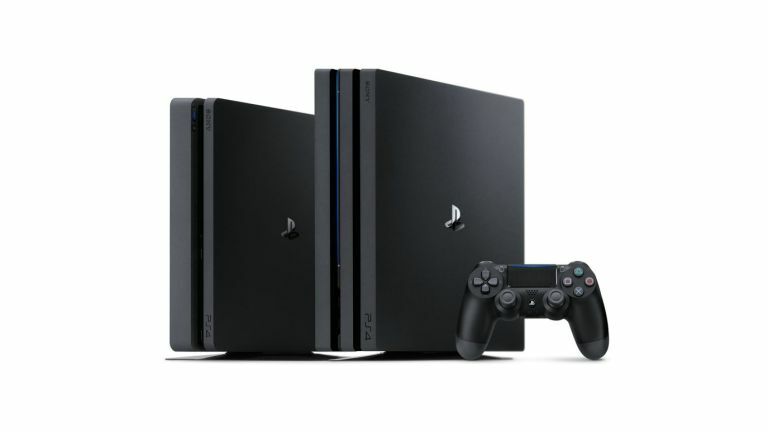 On this page you'll find up to date links to all of the cheapest PS4 deals available, whether it's a standalone console you're after or a bundle with extra games and peripherals. If you want to find the best possible PS4 deal, stick with us here at T3.com. PS4 Pro is the new kid on the block for Sony, a souped up 4K version of the console that also happens to have HDR on board, too. In short, it's awesome. PS4 is as much a part of the future as it is of the present, so if you're looking to put roots down in this generation of console gaming, this is the machine of choice. In its svelte casing, the new PlayStation 4 Slim is a fast, great-looking, powerful console at a not-silly price that also happens to pack the best controller that's been paired with a PlayStation so far. it takes everything that made the original PS4 a winner and makes it more compact and quiet. This model features the classic sharp-cornered chassis of the launch PS4 and is still a serious looker today. It's largely been usurped by the newer, smaller PS4 Slim now, however, unlike the Slim the older model has an optical audio port, which can be handy for some soundbar or Hi-Fi connections. You might get lucky with a cheaper deal than the Slim, but generally, the newer model is cheaper now.